Even though the director stated on the publicity circuit for “Transformers: Dark of the Moon” that it likely would be his last film in the series, THR says Bay is back on board for a fourth installment … though there are going to be some changes. Producer Lorenzo di Bonaventura told press that Bay will be allowed to technically “reboot” his own franchise, with none of the original cast members returning for the continuation of the story. The sequel will be released June 29, 2014, Bay announced on his website. Before that, though, Bay will deliver “Pain and Gain,” a passion project of his that he has been working on for years. Set in the world of Miami bodybuilding, “Pain” is reported to be a dark comedy in the format of “Fargo,” with Mark Wahlberg and Dwayne Johnson playing weightlifters who get caught up in a kidnapping and murder scheme. But the big news is Bay’s continued involvement in the “Transformers” franchise. Are you happy about that? 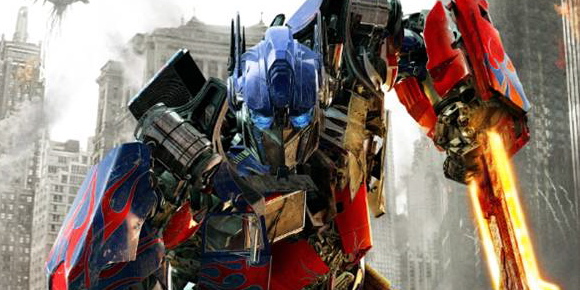 Do you think he can continue cranking out great “Transformers” films? Or would you rather see a fresh voice take over the series?